The fence surrounds 633 North Albany Road, where the Corvallis Clinic plans relocate its North Albany branch. 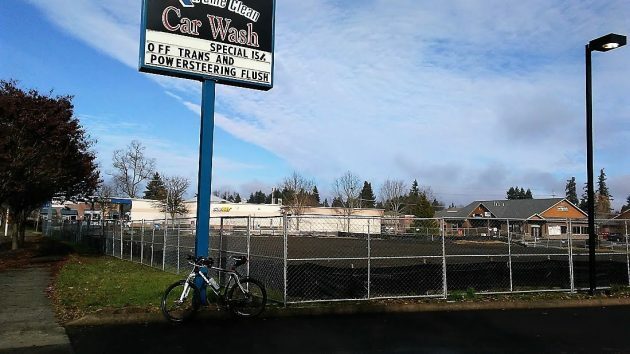 Thanks to a reader’s tip, I can now report that it’s the Corvallis Clinic that plans to occupy a new medical office building for which a site plan has been submitted to the Albany Community Development Department. The site plan is for a building, parking lot and related features at 633 North Albany Road, between two car washes. A notice issued by the city didn’t mention who the building is for. But in a comment on a story posted here last week, reader Beth Kemp said she’d been at the Corvallis Cinic at North Albany Village and was told that the operation planned to move to the new address. I contacted Judy Corwin, in charge of marketing and PR for the clinic. 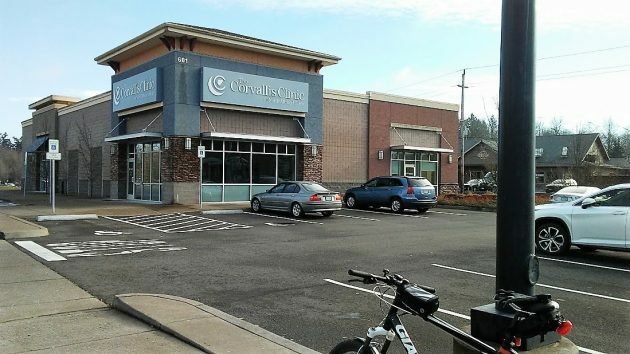 She confirmed that the building at 633 North Albany Road will be a new location for the Corvallis Clinic, which has operated a primary-care facility at 601 Hickory St. in the North Albany Village shopping center for several years. What happens to the present clinic location is unknown. The building is owned not by the shopping center but by a limited-liability company with an address at 1450 N.W. Lester Ave. in Corvallis. The Benton County Assessment Department says the building and land are valued at almost $2.4 million and assessed at $861,625. The property tax this year amounts to about $16,300. This is the building the Corvallis Clinic plans to leave when the new one is completed late next year. Thanks, Hasso. If my present C. Clinic internist retires, I’ll hopefully find one at that new Corvallis Clinic building in North Albany. Empty space! Isn’t that what America’s all about? This North Albany telenovela is gripping.